The Meet and Greet for August is at Buffalo Bill's at 7PM, on the 24th. Enjoy great food while you mingle with others in our community. 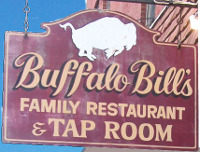 Directions to Buffalo Bill's can be found here.